For years, buttons have been an essential component of mobile device usability. On the iPhone and iPad, the iconic Home Button has been the primary identifier. On Android, capacitive buttons or virtual buttons have served the same purpose. The idea of the home button is something we take for granted. It tells users, “no matter how lost you get, you can always return to where you started.” Other buttons like volume, sleep/wake, and mute offer a tactile interface for carrying out our most common actions. In the future, we may have to leave these tactile interfaces behind us as the major tech companies transition to a gesture-based model. Just like the adoption of touch first devices, this transition will scare some people. In 2014, I wrote about the design convergence happening between Android and iOS. All the major platforms borrow from each other, and over time these platforms start to share more interface elements. It’s an inevitable trend; UI designers are smart people and they run with good ideas. The next step in this convergence is the trend toward interfaces that rely more heavily on gestures than physical buttons. It’s easy to overlook gestures as a fairly significant shift in design thinking. Buttons have been integral to computers for decades. The mouse. The keyboard. Power switches. Including tactile buttons provided continuity during the transition from desktop to mobile computing. Timing is everything in technology, and it should be no surprise that gesture-based mobile operating systems have been tried before. Despite being essentially defunct since 2011 (and being relegated to a smart TV platform for LG), webOS’ legacy is as strong as ever. Just look at the following video of someone demonstrating all the iPhone X’s “new” gestures using a Palm Pre phone. Palm was way ahead of its time, but arguably too early for users. Implementation and timing in the mobile industry is paramount, and it’s often more important that being first. Similar to Palm, Blackberry was also too early with its QNX OS. The gestures were not intuitive and users needed to re-learn how they used their phone. What these gesture-based interfaces forgot was that regardless of the interface design there still has to be a home — a central place — where users know they can return. 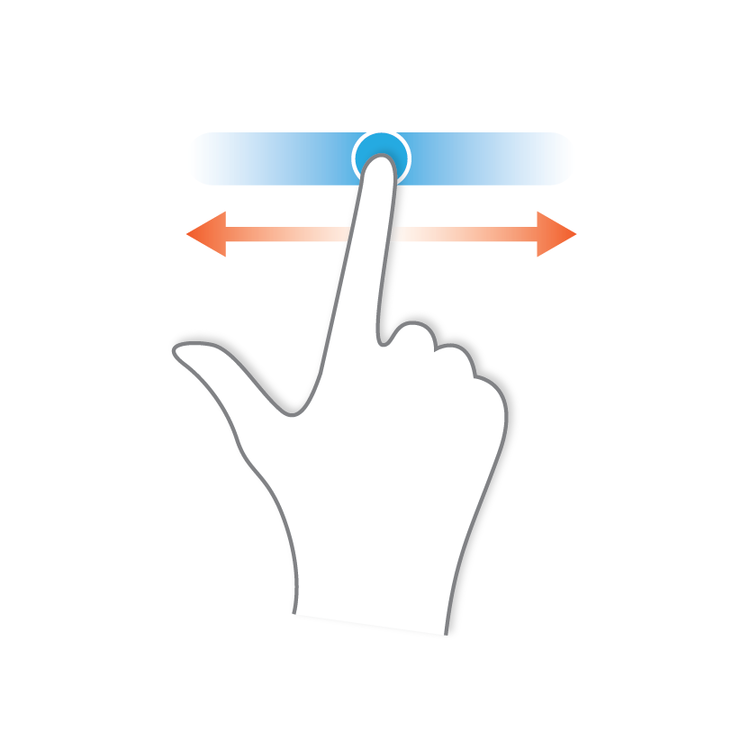 Incremental changes in Android and iOS have made gesture controls more tolerable from a user standpoint. Instead of a radical departure, like webOS or QNX, each platform has taken an evolutionary approach. JR Raphael’s article in Computer World charts Android’s evolution from a keyboard-based OS to what it is today. Buster Hein, writing for Cult of Mac, makes similar observations about iOS’ evolution. Now that the mobile industry has chosen two winning platforms, both Google and Apple can push toward gesture-only controls with less fear of losing users. Ultimately, users will have no choice but to adapt if both platforms move in this direction. But, why move to gestures? What’s the advantage? Phones with fewer buttons (and moving parts) have less failure. I’m sure Apple would like nothing better than to have a phone with no buttons or ports. Premium phones on the Android front are moving in the same direction. Our devices are quickly becoming completely sealed non-serviceable boxes. And Apple and Google will pull it off. They’ve been slowly getting us used to the idea for years. Technology companies spend a great deal of time training users — often with broader goals in mind. When the original Mac was released the problem — according to Steve Jobs — was that users didn’t know how to type. Users figured out how to type, and computer literacy became a core competency for almost every industry. Soon, users will be used to gesture-based operating systems, and buttons will be a thing of the past. We’re in a huge transition in computing. We still use devices rooted in legacy technologies — such as the laptop and desktop. How we interact with these devices hasn’t changes significantly in 20 years. We also have mobile devices which feature very different UIs and design languages. Yet, we are able to switch between the two, which gives credence people’s adaptability. The end game for Apple and Google might be uniting their legacy desktop and mobile platforms, and what better way to do that than introduce a third paradigm — gesture controls — that are implemented across the board? Despite all the reasons for moving to gesture-based OS’, there is a definitely a consistency problem. Tom Warren, writing for The Verge, noted the UI inconsistencies he discovered when switching between a new iPhone X and an iPad. Not only does the iPad differ due to its continued use of the home button, it also has other, older gestures — such as a five finger pinch — for getting back to the home screen. It’s likely these inconsistencies will also plague the Android platform as devices are no longer updated and third party manufactures continue to meddle with the interface. We’re definitely living through a messy transition period. Users are likely going to have to live with these multiple UI paradigms for the next few years. Originally published at www.tech-bytes.net on May 27, 2018.